NO OTHER NAME HAS THE POWER OF JESUS NAME. No other name can raise the dead, strengthen the living, save the lost, defeat the demons, delight the angels, and bear us through perilous times. Only Christ could offer Himself as a righteous sacrifice for sin and shed His blood as an everlasting atonement. If we reject Christ, we are rejecting the only possible means by which we can receive forgiveness and salvation. Of all the names on earth today, one name is more powerful than any other. Christians know it has the power to change lives, save lost souls, heal sick bodies, and secure eternity. It is the name of our beloved Saviour, Jesus. E. V. Hill, in his book A Saviour Worth Having. Have you accepted Jesus Christ as your Lord and Saviour? Have you really considered Him and His claims? If you haven’t, you need to, as your eternal destiny depends on it. 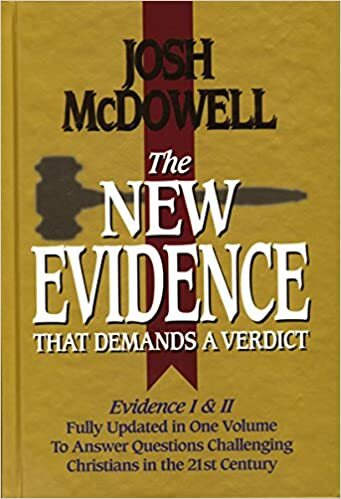 Can I suggest you at least read Josh McDowell’s book, Evidence that Demands a Verdict.